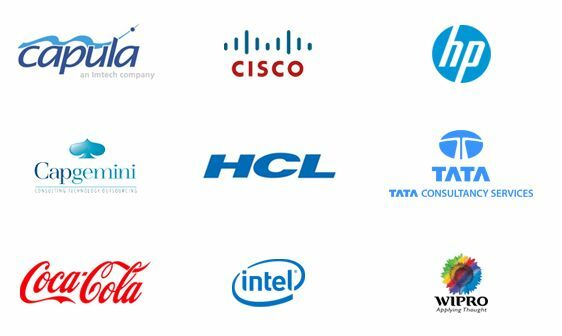 View every object like OLE data, tables, etc. Opening MDB files without MS Access was not easy for me. But, Kernel MDB Viewer software helped me to sort out things easily. Also, it is easy to use and absolutely free. If you want to have access to corrupt MDB files without investing any money, then Kernel Free MDB Viewer tool is the way to go. You can easily open and read MDB files with this tool. Open and view MDB/ACCDB files quickly without installing MS Access on your system. 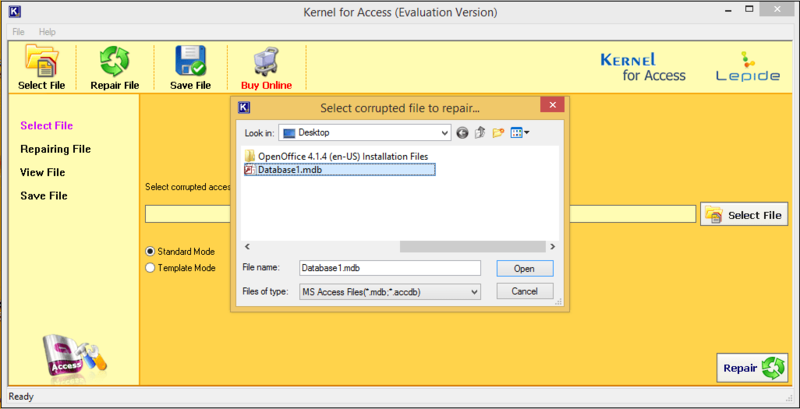 Kernel Free MDB Viewer tool is capable of recovering corrupt MDB files without any hassle. You can recover multiple files with this tool. Kernel Free MDB Viewer allows you to recover permanently deleted data like OLE data, tables, classes, queries, etc. to view them. This tool gives you the freedom to view every object of your MDB file. You can view database objects, tables, comments, locations, region, etc. With this Free MDB Viewer tool tool, you can open and read MDB files of any version of MS Access, including MS Access 2016/2013/2010. Kernel Free MDB Viewer is a simple tool with a descriptive interface. So, opening and viewing MDB files is easy with this tool. An MDB file is a Microsoft database file which is used by Microsoft Access. MDB is the default file format which is used in Microsoft Office Access, up to Access 2003. However, the newer versions of Access, i.e., from 2007 to 2016 uses the ACCDB file format. An MDB file contains the database objects such as tables, fields, queries, report, and other data. And MDB file can be imported to applications like SharePoint. What Needs Does MDB Viewer Tool Fulfill? How to view MDB file with Kernel for Access? 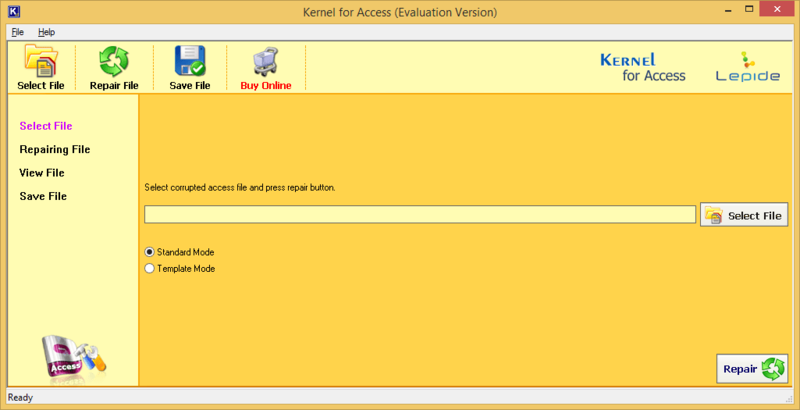 Kernel for Access is a user-friendly tool with the help of which you can view all the Access database file formats. Let’s see how you can do it. Run the software in your system and add the desired MDB file and click on Open to open the file. Once the file is added click on the Repair button. Note: With this option, you not only be able to view your MDB file but also it will repair your corrupted MDB file. So, this tool can also open your corrupted files without any hassle. Wait for the process to complete and you will be directed to the Window where you can view your file. What is the file size limitations for viewing MDB file? There is no file size limitation to this tool. You can open and read MDB file of any size. Can this tool repair files of MS Access 2016? Yes, Kernel Free MDB Viewer is compatible with all versions of MS Access. Is this tool capable of repairing columns and rows in MDB files? Yes, you can recover every file item of MDB file with this tool. Can I save the recovered files after preview? The free version of MDB viewer allows you to save 10 items per folder. However, you can purchase the full version to save more files. Is this tool compatible with Windows 10? 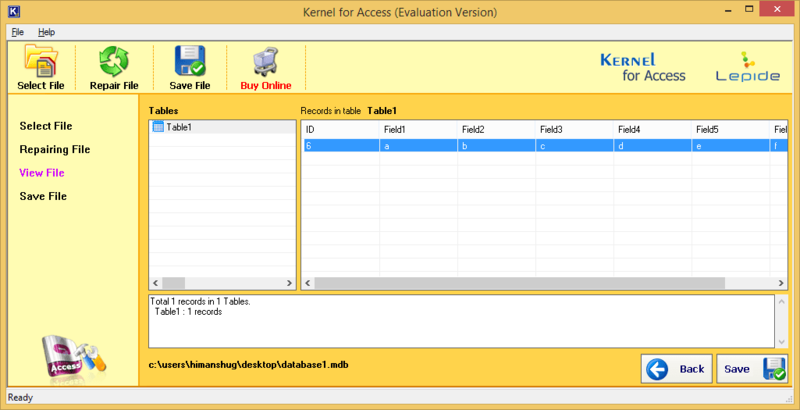 Yes, Kernel MDB Viewer is compatible with all Windows operating systems, including Windows 10. Selecting healthy or corrupt MDB file in MDB Viewer. Repairing corrupt MDB file with Kernel MDB viewer. Previewing data of MDB file after recovery. Iâ€™m thankful to Kernel support team for hearing my issues and solving them on time. The technical support team helped me solve the issues related to my queries. Used the software for the first time. The Trial version works very well and is freely usable. Awesome tool. Definitely buying it.